If you're going on a cruise, you know how important it is to hire a reliable and reputable transportation company to provide your cruise transport. 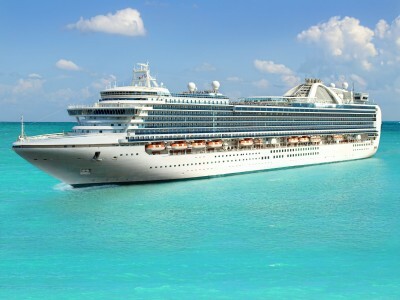 We specialize in cruise transport from the airport, hotel and private homes. We can provide your private transfer to and from the cruise port, or arrange your connection from the Cruise Port to our vehicle (if we do not carry that particular cruise port permit). Our Private Transfers are 100% Fully Customizable to meet and exceed your needs. Depending pon your size party we have: sedans will comfortable seat 3 passenegers with luggage or SUV's for parties up to 7 passengers with lugagge. Either way, we've got you covered. We do not offer shuttle buses or shared rides at this time. How do we pick Up and Drop-Off ? We pick you up from your designated location and will leave you right in front of the terminal. At your return, once you have gone thru customs, please give us a call. Our driver is just a phone call away ! We service all Cruise Ports in Florida: Port Canaveral, Port of Tampa, Port Everglades & Port of Miami. If you need Cruise Port transportation from Ocala, from The Villages, from Gainesville, from Orlando Airport, any town in central Florida please give us a call !